Starwood Preferred Guest is unlike other hotel reward programs because even though Starwood has a co-branded credit card with American Express, the hotel chain runs its own points transfer program. Members can transfer Starpoints they accrue through credit card spending or hotel stays directly to airlines at an extremely advantageous rate. 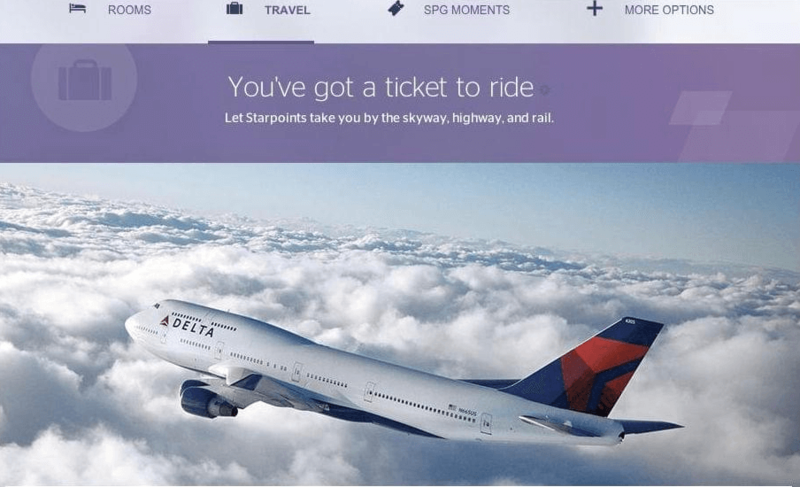 When Should You Use Starwood Preferred Guest Airline Awards? 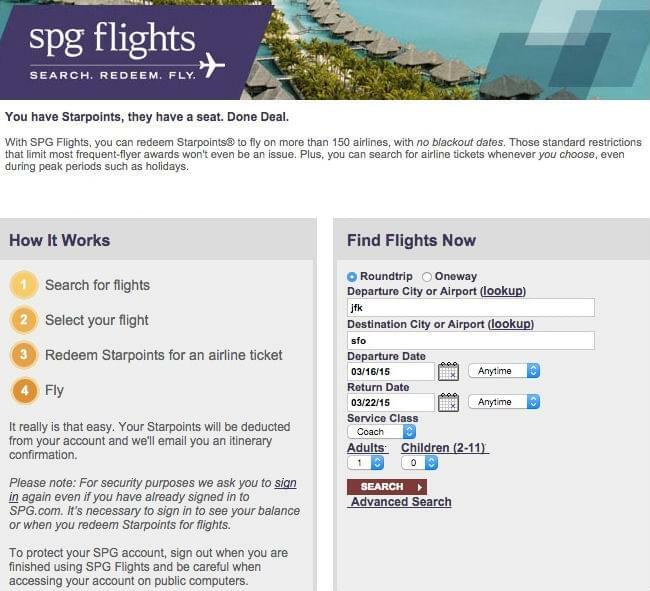 If you’re looking to transfer points to airlines, SPG is the way to go because you get an automatic 25 percent bonus for every airline partner anytime you transfer 20,000 Starpoints. 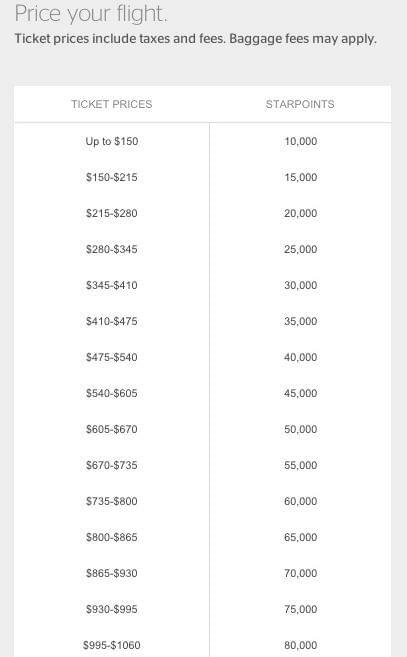 There’s no need to wait for the bonus transfer options offered by American Express Membership Rewards. 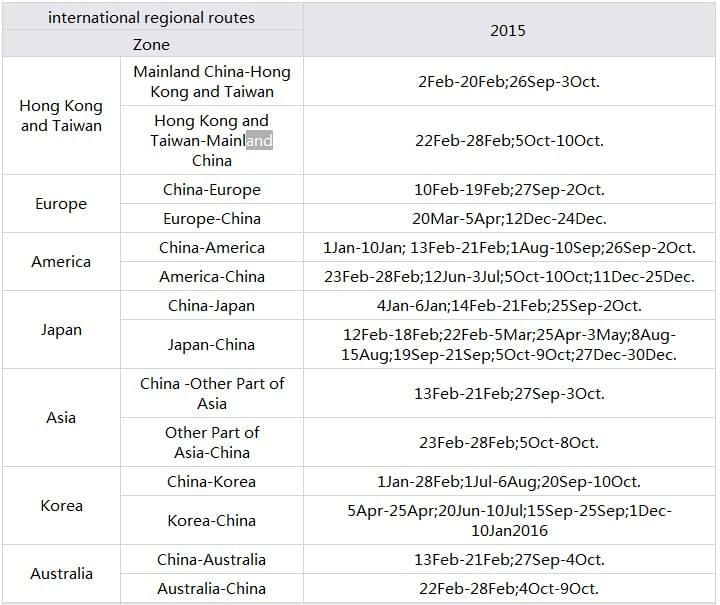 With 28 airline partners, you have a lot of options for point-to-mile transfers, including international carriers that are hard to accrue miles with, such as ANA and Qatar Airways. If you’re looking for a flexible, no blackout, all-airline redemption option like those offered by non-transfer award programs like Barclays Arrival and Capital One Venture, you can book your flights that way as well. 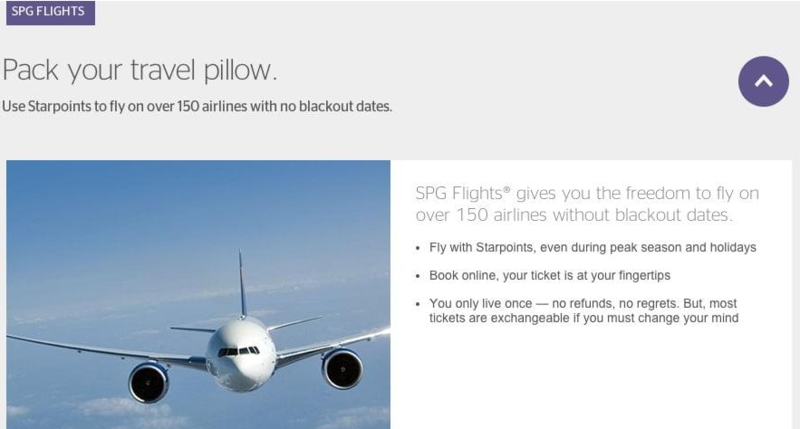 SPG’s fixed-price booking option allows you to book any flight for the current cash price equivalent in Starpoints. You can also redeem Starpoints for a package of SPG hotel nights and airline bonus miles using the Nights & Flights redemption. 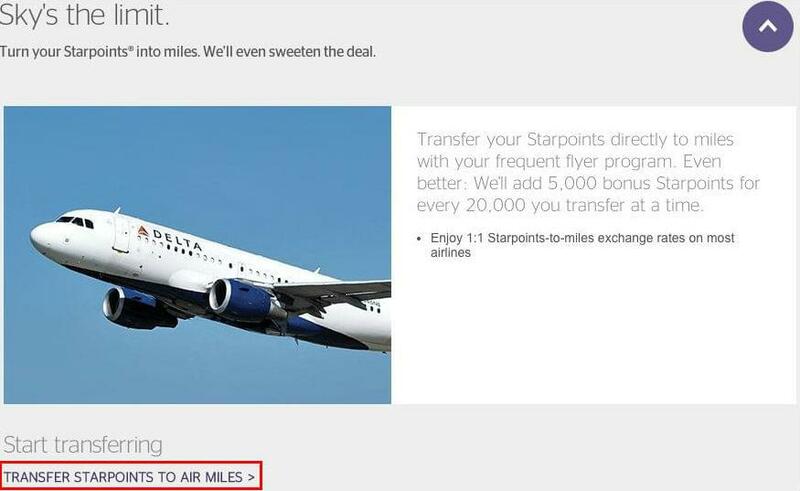 You’ll get five nights at a category three hotel and 50,000 airline miles for 60,000 Starpoints or five nights at a category four hotel and 50,000 airline miles for 70,000 Starpoints. You have the option to sort by departure time, arrival time or the total duration of the trip by clicking on the heading of any of those columns. 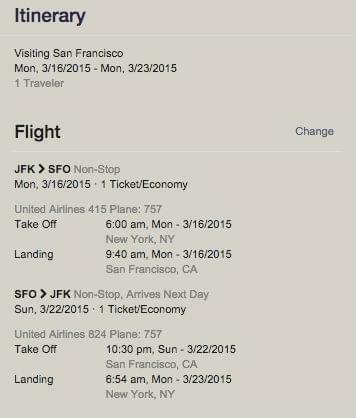 Once you select the flight you would like, you have one more opportunity to confirm the itinerary before completing the purchase. 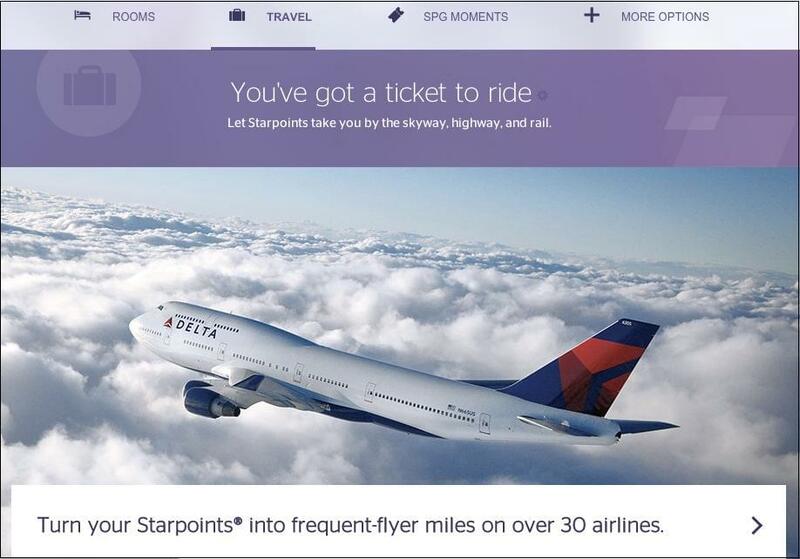 If you prefer to transfer points to an airline instead of booking an award ticket directly through Starpoints, complete the steps above until you get to the page of travel options. 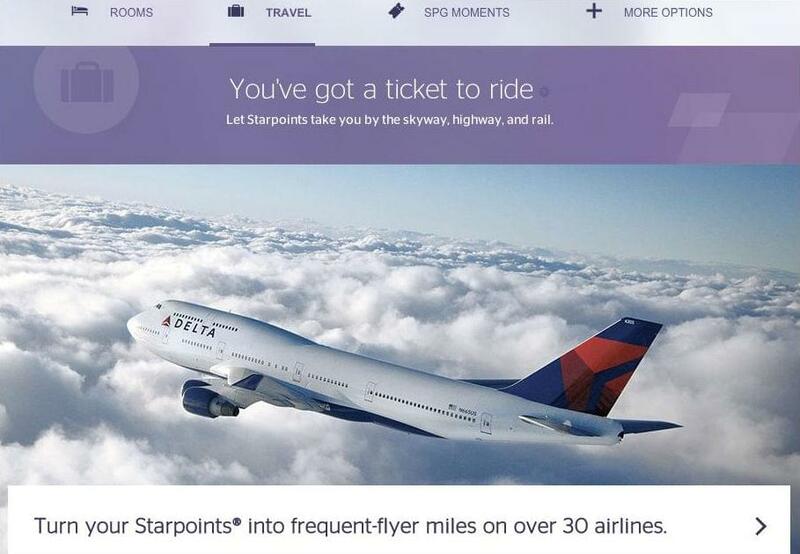 Or, you can scroll down to the Sky’s the limit box and click on Transfer Starpoints to Air Miles at the bottom of the box and fill in the required information. 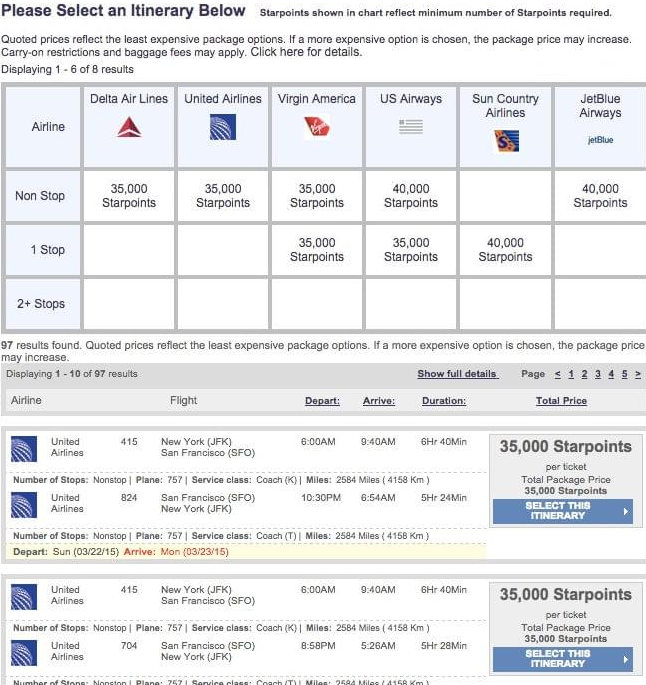 To see the transfer ratio of all airlines transfer one-to-one with Starwood choose the airline from the SELECT AIRLINE drop-down menu. 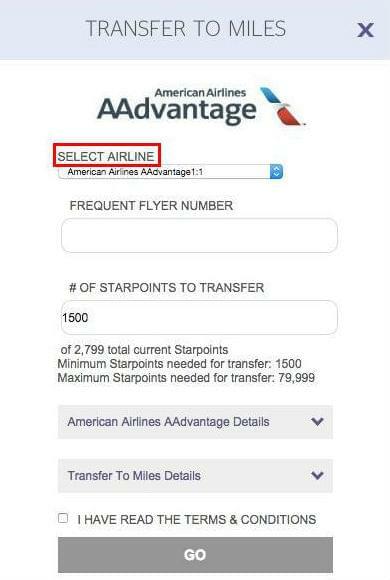 Transferring Starpoints is a one-shot deal with this form, so double check that you have entered your frequent flyer number and number of points to transfer correctly before completing the transfer. Starwood’s phone service has virtually no wait times, so be sure you’re ready before you call so you’re not caught off guard without the information you need. The phone agents will answer any question you have, walk you through an online process, or take care of any issues with your account. However, if you have a question they don’t know how to deal with, they will put you on hold, sometimes for as long as ten minutes, while they figure out how to process your request. When you book certain awards online, such as Nights & Flights, the agent will need your login information to process the award for you. Any time you are calling with a question regarding transfers to an airline program, try to set the airline up as a transfer partner before you call, or at least make sure you have your membership number readily accessible. The agent may ask you to do the set-up on your end, so its best to have your computer ready as well.